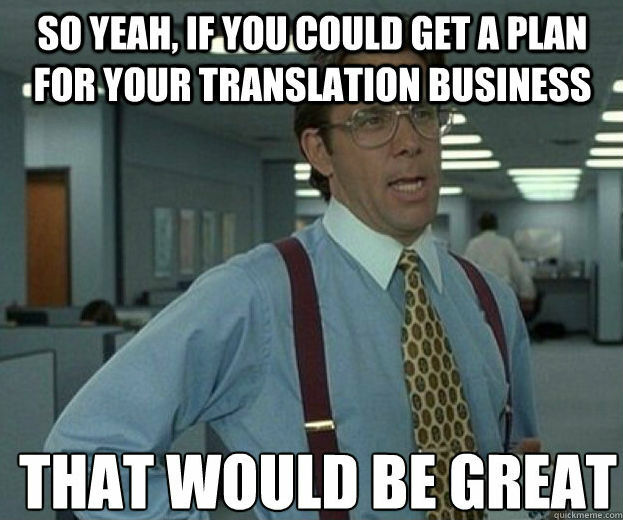 Do you have a plan for your translation business? « Translator T.O. Make more money, have more free time, translate, translate, translate. This seems to be the extent to which many freelance translators and interpreters would define their business plans. In a poll featured on April 9, 2011, 19.5% of respondents said that they did not have a written business plan. This number decreased further in a similar survey run on September 6 of last year, in which only 8.4% of respondents stated that they had a written business plan. Interestingly, over 37% of those who responded to yesterday’s poll answered “Yes” when asked if they had a specific plan or set of goals for their freelance businesses. 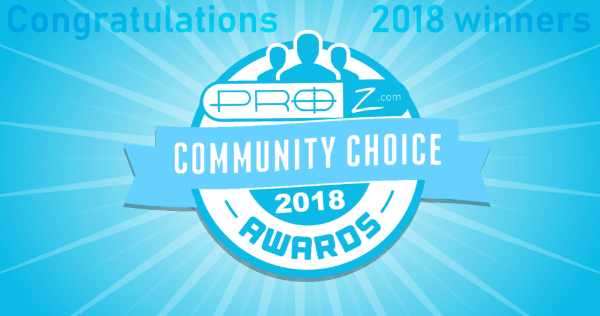 Another 25.3% of participants said that while they did not currently have a concrete professional plan or set of objectives, they would like to develop one. One might wonder what this difference in results means. Why did the minority of respondents say that they did not have a written business plan, but the majority of those polled said that they did in fact have, or would like to have, a specific plan or set of objectives for their business? It’s understandable to say that you would like more vacation time, or that you intend to make a certain amount of money this year, or that you’re interested in becoming more efficient in the way you work. It requires careful planning to come up with ways to ensure that those objectives can be met. A written business plan is a description of your business, what you hope your business to achieve, a plan by which those goals can be met, and how much you can afford to invest in making that happen. This plan can, but does not necessarily have to be, a formal document. We can look at a business plan as being separated into four parts, to include a mission statement, a set of specific goals and objectives, a plan of action, and financial projections. Mission statement: Your mission statement should describe your business as a whole. It should include, among other things, the language pairs in which you work, your areas of specialization, the services that you provide, and the tools you use. Goals and objectives: This section of your business plan should clearly state what you hope to acheive professionally. Some examples of these goals typically include being able to increase efficiency, gain more clients, increase income, diversify the services you offer, and have more free time. Plan of action: Your plan of action should describe, in detail, what needs to happen in order for your goals and objectives to be met. This can include any certifications you plan to acquire, training or workshops you would like to attend, and any marketing strategies you will implement. Financial projections: This part of your business plan should state your current rates and fees. Based on these figures, you should include the calculated volume of work you would need to receive in order for your goals and objectives to be met. Your financial projections should also include any funds you plan to allocate towards investing in your business – including purchasing new software or equipment, the price of training or additional certifications, your overhead costs, and so forth. Ideally, a business plan should be more than a general statement about what you would like to achieve. The creation of this plan is in itself a good exercise to help you define where you would like to go professionally, and can even help you discover aspects of your career that you may not have previously considered. Your business plan should provide a detailed description of what you offer, your concrete professional objectives, and a path through which your goals can be met so that you can ultimately make more money, have more free time, and keep translating. Do you have a plan for your freelance business? If so, has it helped you in achieving the goals and objectives you’ve established? Roughly, this was my business plan 2 years ago.It worked perfectly all right, but required a lot of effort and dedication.A good translation business plan will offer both job satisfaction and security.Trust me!